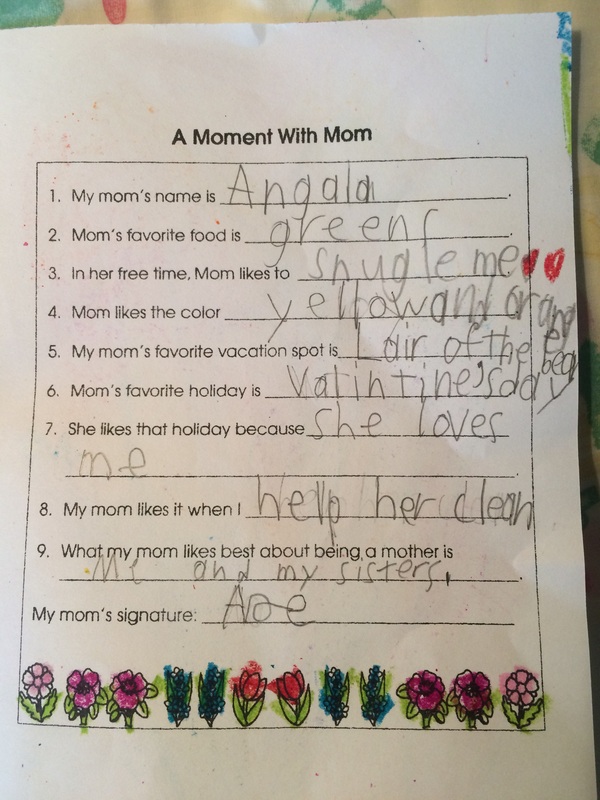 I hope all the mother runners out there had a wonderful Mother’s Day last Sunday and everyone else had a lovely weekend. I slept in and then rallied my husband for a two hour run/hike that I just did not want to end. It was so gorgeous outside and it was wonderful to spend time with Mike (knowing that the kids were happy at home). 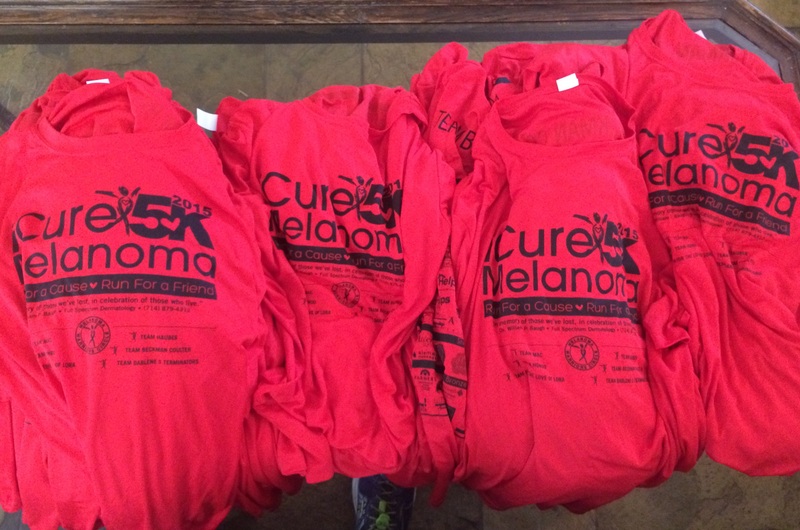 Later in the week I packed up thirty technical shirts that were left over from the iCureMelanoma 5K. The printer mistakenly printed our 53 team shirts on cotton tees and when it mailed the right technical shirts, the shipment included several extras. Running emboldens me and humbles me at the same time. I can go from the high of finishing a great race to the low of gutting out a tough training run. Through it all I open myself up to feeling vulnerable, to meeting new challenges, to learning more about myself and the sport. And inevitably along the way I find little nuggets of encouragement, often when I need them most (Thank You Kind Sir, Twenty Mile Run to the Ocean, Twenty Miles on Coyote Creek Trail). 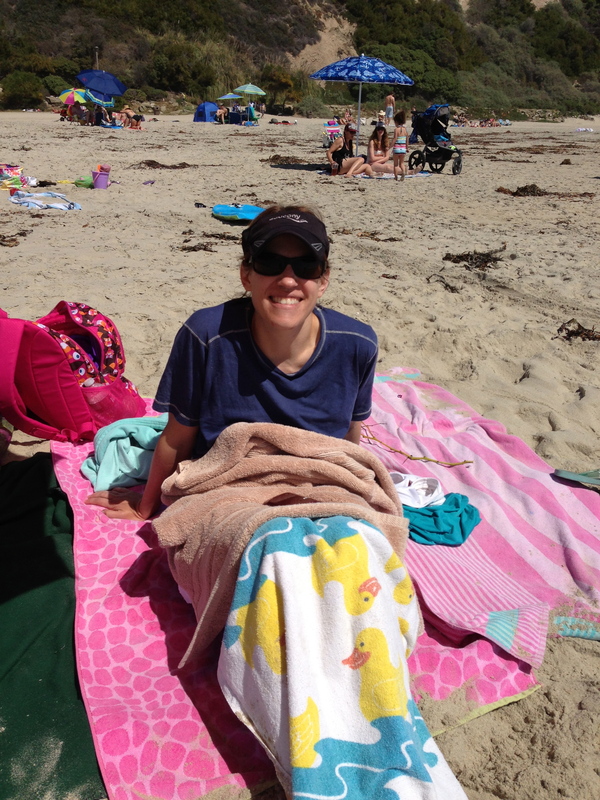 Note that I am wearing a Saucony running visor. This will be important. 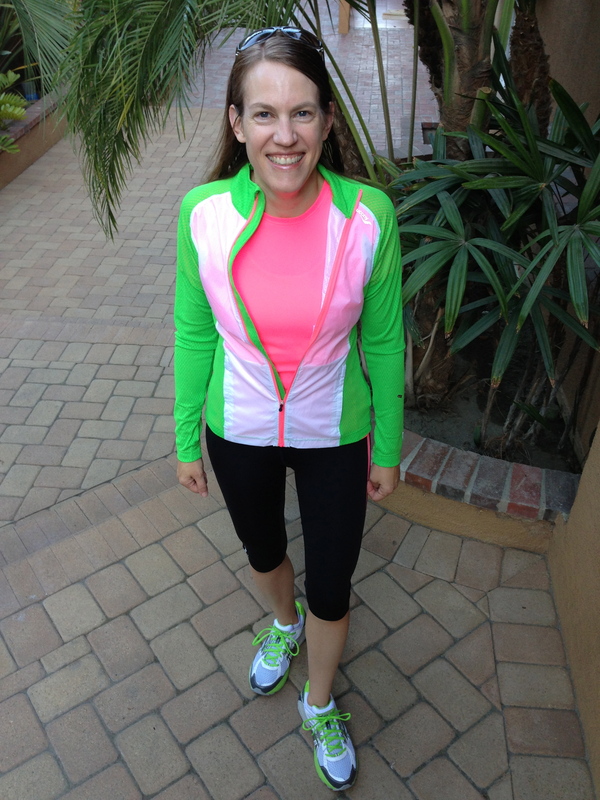 I received word that I had won a Saucony running outfit from one of Another Mother Runner‘s “hump day giveaways”! 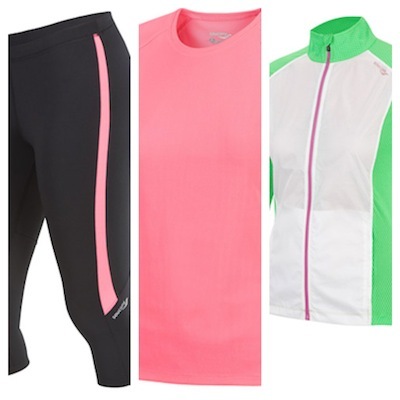 I had just run 20 miles wearing my Saucony running visor, and I won a Saucony outfit! Saucony trio compliments of Another Mother Runner!